Tofu is a great source of protein plus it is a great alternative to meat. Consuming tofu regularly helps lower bad cholesterol and even lowers the risk of cancer. It’s a great form of vitamin C and calcium. Spinach is a great pick-me-up when you’re feeling tired because of the iron it contains. The iron acts as a carrier of oxygen, which is a vital for every organ to perform properly. 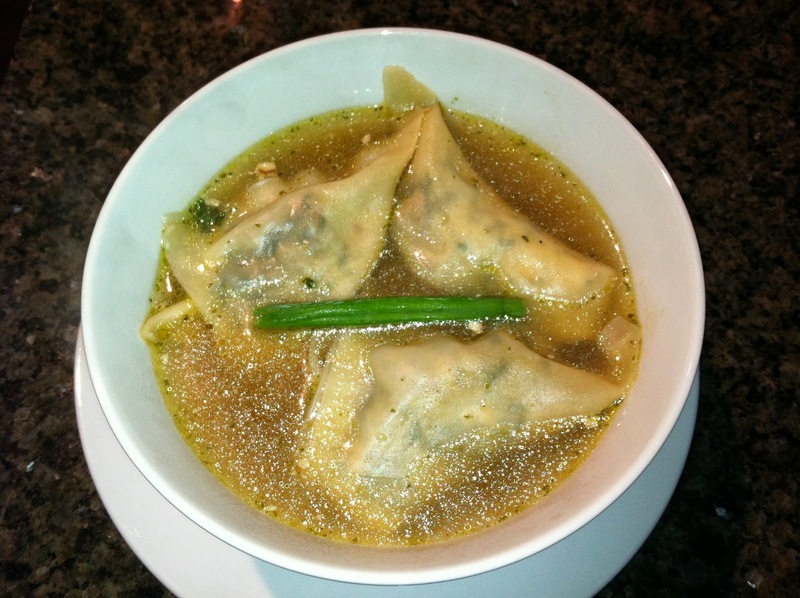 You can make these delicious wontons as a dumpling for soups or use with a dipping sauce, either way they are very tasty! In a small container mix the cornstarch with the soy sauce and sesame oil. In a small mixing bowl add the tofu, walnuts, spinach, scallions and the soy mixture. Mix well to incorporate all of the ingredients. Do not be afraid if the tofu breaks. Take 4 pieces of wonton and lay on a board. Wet with water and place a 1/2 tsp of mixture into the wrapper. Fold into a diagonal to form a triangle and press down. Continue until all of the mixture is used. Should make about 25 wontons. In a large pot fill 2/3 with salted water. Bring to a boil and carefully add the wontons. You may have to do this in several separate batches. Boil for about 3 minutes or until the wontons float to the top. Serve either in a soup or with dipping sauce. For the dipping sauce mix all ingredients together in a bowl.